[135 Pages Report] The aircraft computers market was valued at USD 5.57 Billion in 2016 and is projected to reach USD 7.87 Billion by 2022, at a CAGR of 5.91% during the forecast period. The objective of this study is to analyze, define, describe, and forecast the aircraft computers market based on platform, type, end user, component, and region. 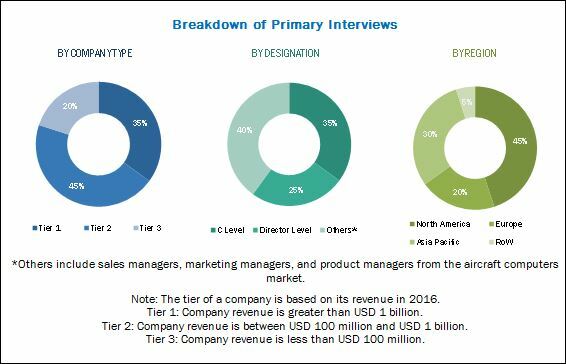 The report also focuses on the competitive landscape of this market by profiling companies based on their financial position, product portfolio, growth strategies, and analyzing their core competencies and market share to anticipate the degree of competition prevailing in the market. This report also tracks and analyzes competitive developments, such as partnerships, mergers & acquisitions, new product developments, and research & development (R&D) activities in the aircraft computers market. The base year considered for this study is 2016 and the forecast period is from 2017 to 2022. The aircraft computers market has been segmented on the basis of platform, type, component, end user, and region. BAE Systems (UK), Honeywell (US), Rockwell Collins (US), Thales (France), Saab (Sweden), Curtiss-Wright (US), and Cobham (UK) are some of the manufacturers in this market. Contracts, new product launches, agreements, and acquisitions are the major strategies adopted by the key players in the aircraft computers market. 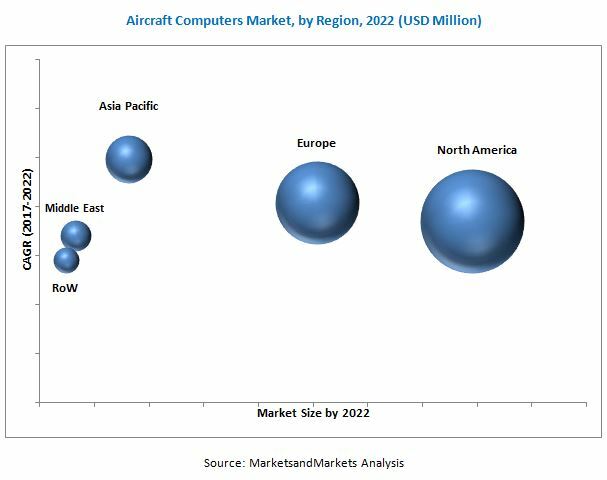 The aircraft computers market is projected to grow from USD 5.90 Billion in 2017 to USD 7.87 Billion by 2022, at a CAGR of 5.91% from 2017 to 2022. The increasing aircraft deliveries across the globe, as well as the retrofit activities in the general aviation market, are expected to fuel the growth of the aircraft computers market. The aircraft computers market has been segmented on the basis of platform, type, component, end user, and region. Based on platform, the aircraft computers market has been segmented into fixed wing rotary wing, and UAV. The fixed-wing aircraft segment is projected to lead the market during the forecast period, owing to the increasing demand for commercial and military fixed wing aircraft. The commercial fixed wing aircraft market is anticipated to increase due to the growing air passenger traffic. Based on end user, the aircraft computers market has been segmented into OEM and aftermarket. The OEM market is projected to grow at the CAGR during the forecast period. The high growth can be attributed to aircraft modernization programs and the adoption of aircraft computers to be installed on advanced aircraft coming out of the production line. Based on type, the aircraft computers market has been segmented into flight controls, engine controls, flight management computers, mission computers, and utility controls. The flight controls segment is expected to grow at a high rate during the forecast period. Flight control computers help the pilot in managing the altitude, speed, and direction of the aircraft. Based on region, the aircraft computers market has been segmented into North America, Europe, Asia Pacific, Middle East, and Rest of the World (RoW). The North American region is estimated to be the largest market for aircraft computers in 2017. Presence of major aircraft manufacturers, such as the Boeing Company (US) and Bombardier Inc. (Canada) is driving the aircraft computers market in this region. The aircraft computers market in the European and Asia Pacific regions is also expected to witness a high growth due to the rising demand for wide body and large aircraft. Stringent regulations in aerospace industries can act as a restraint for the aircraft computers market. Major companies profiled in the report include Honeywell (US), Rockwell Collins (US), BAE Systems (UK), Curtiss-Wright (US), and Thales (France). New product launches and supply contracts were key strategies adopted by leading players in the aircraft computers market from 2012 to 2017. These strategies have enabled companies to strengthen their position in the market.